Killing Eve, Fleabag, Russian Doll and Big Little Lies are among the great shows that should've called it quits after one season, says Alison Willmore. 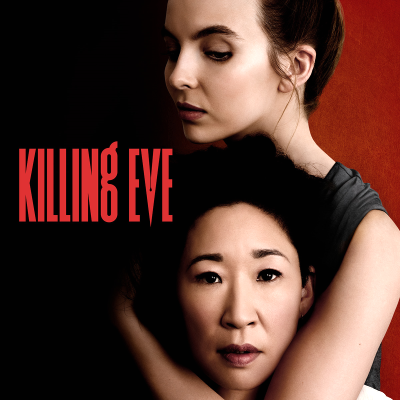 "Villanelle and Eve are due to resume their chase in Season 2 of the series, premiering on April 7, and I've been feeling an undue amount of trepidation about it," Willmore says of Killing Eve. "Some of that is the regular old 'please don't f*ck this up' dread that can accompany any fresh season of a beloved series — the worry that something will go awry in the delicate balance between new elements and the things that make the show the show. Mostly, though, I've been feeling something complicated and entirely personal — which is that I loved that first season of Killing Eve too much to want more of it." Willmore adds: "I've been having this urge a lot, lately — to seal up the near-perfect first seasons of my recent favorite shows in amber so they'll be preserved forever, untainted by future disappointments, immune to the commercial insistence that the best reward for a show's success is to keep it going until it's no longer successful. My desire is admittedly perverse, and indifferent toward what anyone who creates television shows (or ponies up to underwrite and profit off them) actually wants. It's a fan's strongly felt and entirely hypocritical conviction, because it's not as though I'm not going to tune in to these second seasons when they arrive."